Through this website by Freshlife, I've made a great honey almond slice. This is another great recipe found in this website. 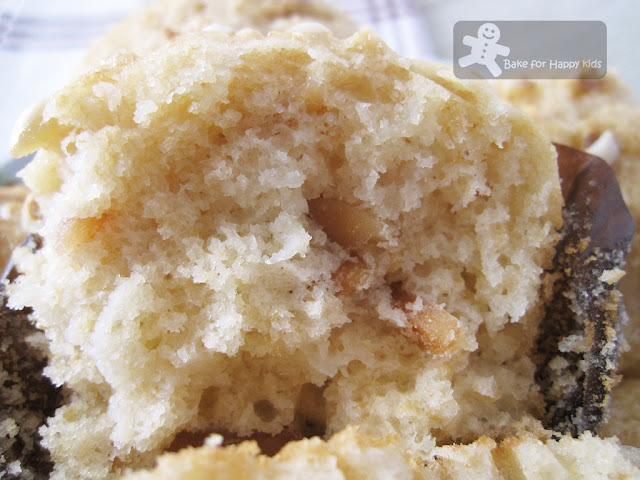 With 25g of mashed pears in each muffin, these semi-wholemeal muffins are soft and moist inside. I think that they are healthy snacks too and great to be packed into our lunch boxes. Here's the recipe from Freshlife.com.au. Preheat oven to 180°C and grease 12-hole muffin pan. In a large bowl, whisk together eggs, milk, oil and sugar. Stir in pear. Add flours, cinnamon and slivered almonds and mix until just combined. Divide mixture between muffin pan and sprinkle tops with extra slivered Almonds and brown sugar. Bake for 20 minutes or until a skewer inserted into the center comes out clean. Remove from pan. Place on wire rack. Serve warm. I do love the flavor of pears, they are so sweet. I had one for lunch today. But I would much rather eat my pear in this muffin. It looks delicious. Thanks for sharing. 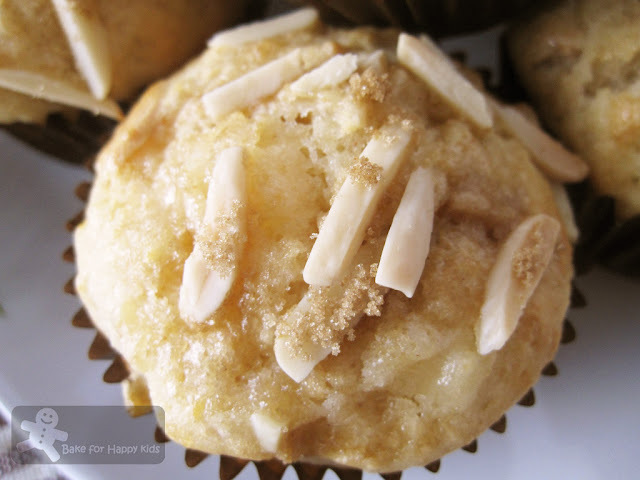 Boy do these pears and almond muffins look delicious. You can really see the moistness. I think I wll make them this weekend. Those muffins look so light and delicious. I would love a couple of them for the breakfast. this looks soo wholesome and tasty! just the type of baked good my kitchen (and waist) loves! i noticed that it uses canned pear...i wonder if i can get away using fresh pear...maybe need to poach it first to soften? i have so many pears to use up! Really nice. I love anything with almonds. What a great little treat! Can't go wrong with a pear and almond combo! zoe, you always managed to capture the inside of your bakes so well! Super fluffy muffins looks incredible.. These sound fabulous!! I love pears in baked goods...so yummy! Wow - these are absolutely stunning! I LOVE the ingredients...I'm allergic to cinnamon, so I'd have to omit, but wow! What a delicious muffin! i loooove the look of these, i pear sounds great and that topping so good! 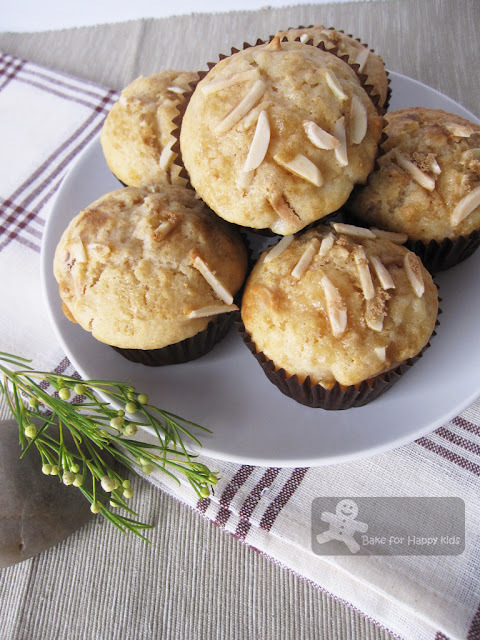 Look how light and fluffy these muffins are - delicious - love the canned pears and I adore almonds! I adore these Zoe..and would never thought using pears, I think I would love them in these muffins just as much as fresh once! Great photos as always!! !